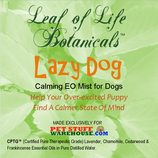 Try our Lazy Dog Calming EO Mist to help your puppy find his relaxation, which will help you find yours. 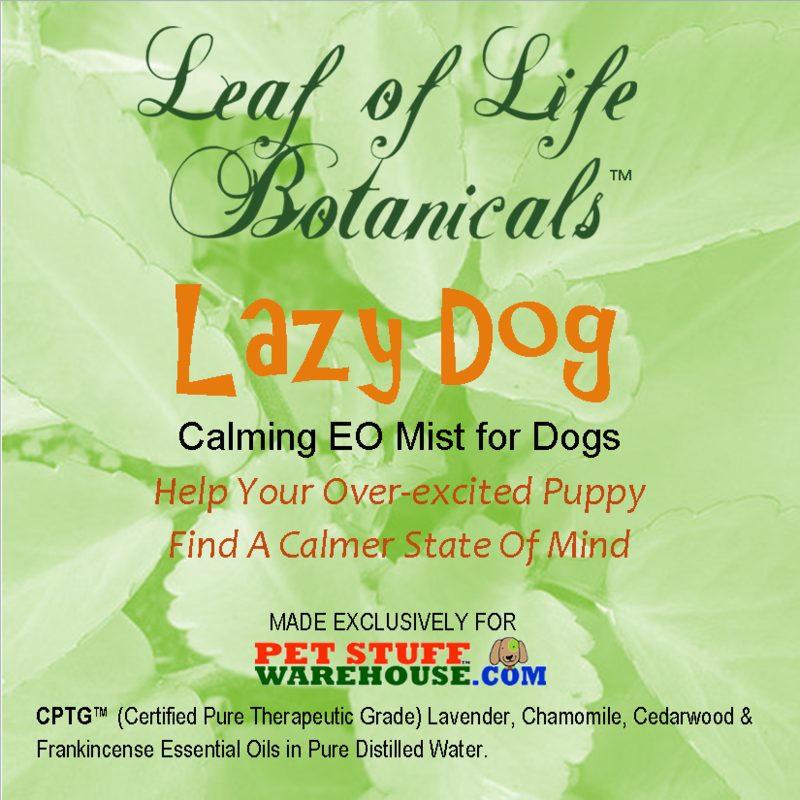 With Certified Pure Therapeutic Grade essential oils of Lavender, Chamomile, Cedarwood, and Frankincense our unique blend helps many pets reach a calmer state. Also, this stuff smells fantastic! 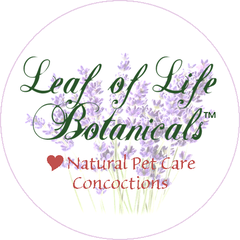 Our exclusive blend from Leaf of Life Botanicals. 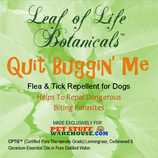 Leery of all the harsh chemicals used in most flea & tick remedies? 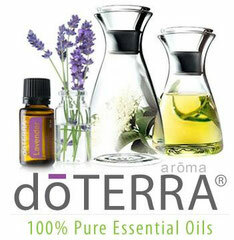 Try our exclusive spray from Leaf of Life Botanicals. 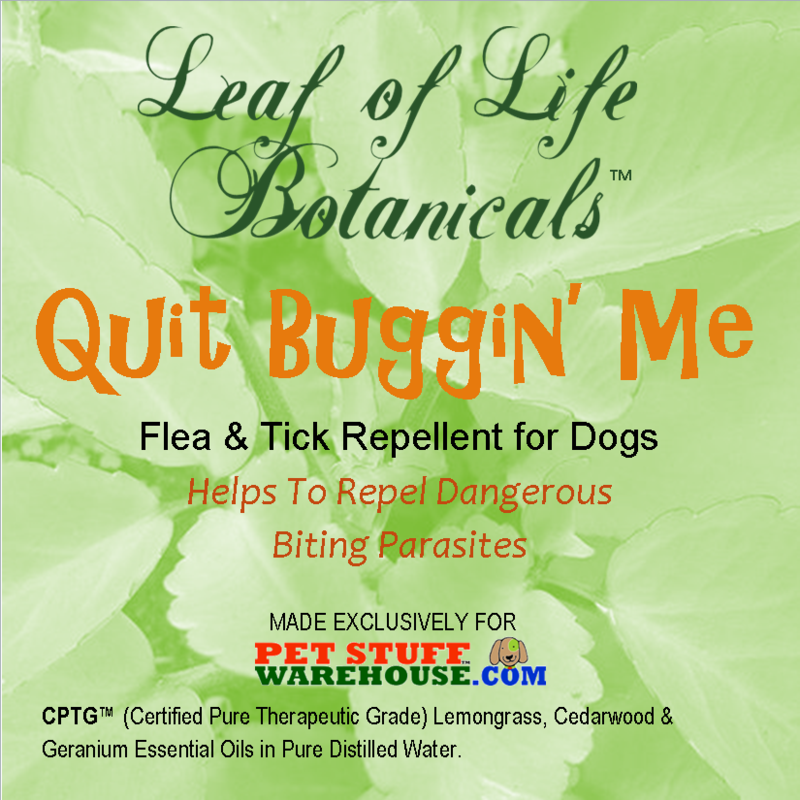 Using powerful CPTG Essential Oils of Cedarwood, Lemongrass, and Geranium this blend will help keep your dog free of dangerous fleas and ticks. And Bonus - your fuzzy friend will smell great too!